Dr. Yarinsky participates in www.expertinjector.org, a group of highly skilled and trained plastic surgeons who specialize in administering facial fillers and BOTOX® Cosmetic. This combination of treatments results in a “liquid facelift” and can help you look 5 or 10 years younger without surgery! 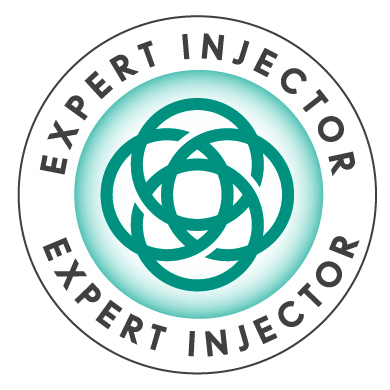 Each physician member of Expertinjector.org is dedicated to providing you with an exceptional level of quality service and care to achieve the best possible results with your facial and lip filler and Botox® Cosmetic treatments all done in a safe environment using FDA –cleared injectables purchased directly from the manufacturers. Dr. Yarinsky personally performs all treatments administered. We now offer “Pain Free Injectables” with “laughing gas”. Contact our office for details. Goal: to reduce unwanted wrinkles and creases around the eyes & brow; to minimize excessive perspiration in the arm pits. Have those youthful facial expressions turned into permanent creases and wrinkles? BOTOX® Cosmetic is the answer. These creases and wrinkles in your brow and between the eyes at the bridge of the nose can be relaxed to allow your skin to be smooth again. BOTOX® Cosmetic is also helpful with crow’s feet, lip lines, and neckbands. By using BOTOX® Cosmetic injections into these small muscles, Dr. Yarinsky can weaken the muscles and reduce worry lines, crow’s-feet, laugh lines and other wrinkles. *The effect usually lasts for three to six months, and can be repeated when needed. For all those who suffer from excess perspiration in their arm pits (axillary hyperhidrosis), BOTOX® Cosmetic has been found to be a real life (and clothing) saver! Although the treatments need to be repeated every three to five months to maintain the results, our patients have said “goodbye” to embarrassing sweat rings and stained clothing. Is the treatment worth it? Our happy patients give it “two thumbs up”! BOTOX® Cosmetic is a procedure that has been safely used to treat a variety of conditions for more that 10 years. It is now FDA approved for the temporary treatment of frown lines. Please contact Dr. Steven Yarinsky for more information on BOTOX® Cosmetic, or to schedule a consultation at our practice. FDA approved in April 2002, BOTOX® Cosmetic smooths facial wrinkles in the forehead, between your eyes and in the “crows feet” areas (upper third of the face). Botulinum toxin, or BOTOX® Cosmetic works by weakening the muscles of facial expression. Once the resting tone of the treated muscles is weakened, the pull of the muscles relaxes and the overlying skin flattens. This approach is different than the other local treatments for the aging face. By weakening the muscles, wrinkles naturally are lessened. The most common areas treated are the forehead, between the brows, crow’s feet lines and neck muscle bands. Before and after of Botox to glabella and forehead. Injection of BOTOX® Cosmetic into the small muscles between the brows, in the forehead, and at the comers of the eyes causes those specific muscles to halt their function (be paralyzed), thereby improving the appearance of the wrinkles. This paralysis is temporary, and reinjection is necessary within two to six months. Very small amounts of BOTOX® Cosmetic are injected into the muscles to be paralyzed using a very tiny needle. Depending on the areas being treated, 5-15 small injections may be required. Discomfort is minimal and lasts only a few seconds. Occasionally, the tiny needle may puncture a small blood vessel during the injection and a bruise may develop. The bruise can last a week or two and may require you to use cover-up makeup. There are no known generalized side effects to BOTOX® Cosmetic. Temporary eyelid drooping or blurred vision may occur. If any of the Botulism toxin reaches a facial muscle not being treated, partial weakness of that muscle may last for several months. (It is for this reason that you are requested not to massage the injected areas for 12 hours following injection.) In the event of an area of unwanted muscle weakness, the only “treatment” is to wait for the effect of the toxin to wear off in several months. BOTOX® Cosmetic injections can be combined with eyelid lift and laser skin resurfacing for a very effective facial rejuvenation. BOTOX® Cosmetic is not used on pregnant women. The specific risks and the suitability of this procedure for you can be determined only at the time of your consultation with Dr Yarinsky. All surgical procedures have some degree of risk. Minor complications that do not affect the outcome occur occasionally. Major complications are unusual. Most people are very happy with the results but no specific result can be guaranteed. 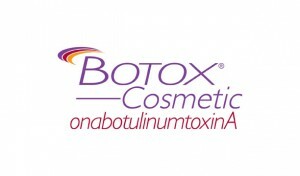 BOTOX® Cosmetic is a registered trademark of Allergan, Inc. This procedure is done at our Joint Commission accredited office facility.